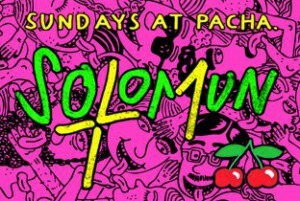 Chelina is now playing for the Solomun +1 party every sunday at Pacha Ibiza. Pacha Ibiza is one of the most famous clubs in Ibiza. Solomun+1 party is known for his deep underground sounds and raves till the sun comes up. You can’t miss this, so come to Pacha Ibiza on Sundays for a amazing vibe and a night you will never forget!